Never underestimate the colours when it comes to designing your living room. Furniture plays very important role while designing your home or office. Experimenting with colours is always a good idea. Fabio New Fabric Sofa one seater is worth that experiment a pinch of colourful furniture can pop up your dull looking living room. Dark colours not only uplift the interiors but makes your furniture highlight. With rich upholstery and elegant lines, the Fabio New Fabric Sofa 1 Seater comes in an indulgent shade of dark chocolate. This beautiful piece comes with a sturdy frame and a smooth, clean design. The sofa features broad armrests, so that you can relax comfortably in this one-seater. 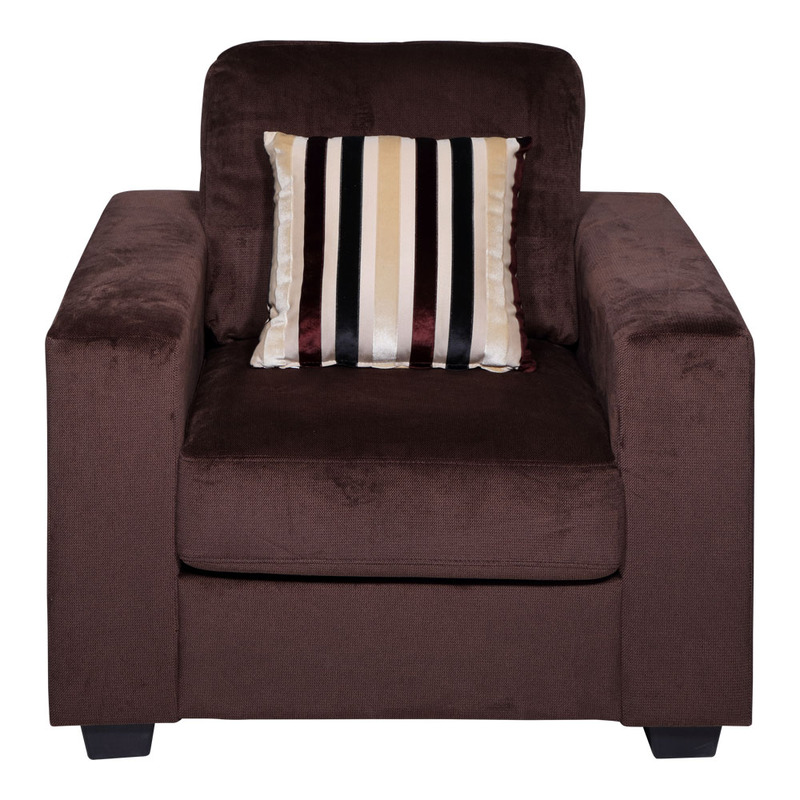 The seat has been padded with high quality foam and provides the ultimate soft comfort. You can spend days in this beautiful sofa, reading leisurely or watching television. This one-seater is 36.5 inches in length, 32 inches in breadth, and 35 inches in height. You can choose to buy this piece from our online furniture site, or visit any of our 25 furniture stores across India for the best deals in home furniture.